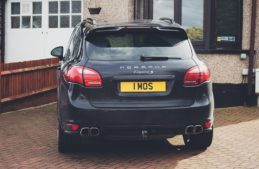 Number plate cloning, where a fraudster purchases licence plates of another identical make and model of vehicle, has been the subject of a number of media investigations recently. Although there are no official statistics available, comments from police forces suggest it is a widespread problem, the tip of a bigger iceberg that leaves uninsured cars free to ply the streets (as they are identical to another car of the same make and colour, and do not show up on police ANPR cameras). The BBC expressed it with a headline earlier this year, ‘Number Plate Cloning: Fake Plates Ready in 10 Minutes’. Their undercover reporter was able to purchase fake number plates from several retailers without any logbook checks. To test the theory we recently bought a pair of copy number plates at a well-known motor parts retailer in Berkshire. There were no checks made against personal ID and the vehicle registration certificate, although official suppliers and dealers are supposed to check the original documents. Furthermore there is no DVLA database that gives motor parts retailers access to the information they need to make checks online. Details of registered suppliers and the correct documents to use are available on the government website. To guard against cloning when buying a car, the consumer needs to pay for a car history check or HPI search, and check the vehicle against the VIN plate or chassis number. It is just another example of the professional type of organisation, and the scale that the fraudsters now operate at. The risks for the genuine consumer include the possibility of an uninsured collision with one of these vehicles, parking and speeding fines sent in the name of the genuine registered keeper of the vehicle, as well as the cloned vehicle being stolen or involved in other crimes. Cheap insurance policies sold through fraudulent applications made by ghost brokers, leaving the genuine policyholder high and dry, are another example where we help insurers combat fraud through our Intelligent Quotes tool, Risk Insights and other ID solutions. Taking a quick poll of individuals in our office who have lived in other countries, the anecdotal evidence suggests that stronger checks do happen in other countries, where permanent registration plates are often only available direct from government or municipal authorities. Consider also there is no mandatory police report system of motor accidents in the UK, unlike many countries, and we can see that as a society we do place more of this burden of investigation, claims forensics, and ultimately prevention, onto the insurance companies. Fraudulent whiplash claims, claims management companies (CMCs) and cold-calling for personal injury claims, crash-for-cash gangs: scams are happening at the rate of one every minute according to ABI research, costing UK motor insurance an estimated £1.3 billion in premiums every year. Currently for every £1 paid in compensation to customers, £3 is paid in legal fees. The ABI predicts that the average motorist could be paying £200 a year unnecessarily by 2020, the cost of the ‘compensation culture’ and the CMCs who nuisance call and text honest motorists encouraging them to make fraudulent and exaggerated claims through claimant law firms. Government has only recently been waking up to the notion of fraudulent claims and the need for regulation, but fortunately for all of us, more data is coming to support the honest policyholder. Awareness is growing. Anti-theft screws and other measures are available to prevent physical theft of plates. But it’s another reminder of the important role of data analytics, and technical evidence such as in-vehicle video, with inter-connected databases, data matching, and telematics evidence at the point of claim, in the fight against fraud. It is quite a dysfunctional state of affairs and it’s a feature of the UK market that we place a lot of this burden – and cost – onto the insurance industry and the ordinary customer. Follow these links for information on the LexisNexis® Telematics Exchange or the LexisNexis Risk Solutions website for US insurance or UK insurance to find out more about how we support insurers. This is why in pretty much all other countries, the plates are made by the issuing authority and the materials and equipment to produce them are not sold on the open market. Many countries press them out of aluminium and have hologram stickers stuck on for road tax and MOT. The line that says it all “the government is only just waking up”: this licence plate scam has been going on for ages. I had workmates where they’ve actually stolen the real plates for’drive through’ theft and there are plenty of market traders working out of vans/caravans that will make a set of plates while you wait….anything you like, including fudging the four into the letter A, and all that for about £30. The number plate industry should be taken under government control. In Canada and the USA number plates are all made in federal prisons, and the number plate is registered through the PERSON, not the vehicle. So you sell your car, take off the plates, put them on your new car. Very sensible. But over here? Wooly-minded organisation, (or lack of any organisation) prevails and it is left to the industry, and the individual, where decency and principle are extinct these days, and personal greed proliferates. “Government is only just waking up”…they been like that ever since…It’s about time the government and the whole legal system was given a huge shake up, and join the 21st century. I have an idea: you often see cars on transporters with tape over some of the digits on their plates, to avoid this scam. How about I do that to my own car so that fraudsters could not just clone me? I therefore cannot show up on overhead cameras, and if the police object, they can stop me and I can show them what my number is, providing they are real police….How could they object? Or else it’s like driving around with my bank details on my car, or putting my email address and passwords on display. One must assume that all people that can see any of this information are possible criminals, unless proved otherwise, and then the onus would be on them [law enforcement]. How about that? Unfortunately this isn’t just a problem in the UK and Africa. Unlike the UK [in Africa] it isn’t that controlled. Matching the vehicle make, model are not that difficult to detect..and highly sought after by armed robbery crews and taggers. Plate cloning can go on for a long duration of time with consistency and counterfeit plates have a monetary value. I’ve been a victim of plate cloning since I received a licence. In my honest opinion it establishes the basis for stalking amongst other crimes. Plates are sometimes assigned in ascending number order, sometimes in descending order. Beginning with a starting point, an observer familiar with the sequence can determine when it was issued..The information assigned to that tag is shared on a network with multiple agencies and motor vehicle databases, and can be used to track your whereabouts. Last year, I received a speeding ticket from West Midland Police, for exceeding 38 mph in a 30 mph zone, in a street in Birmingham, a city I have not visited in over five years, and over a 120 miles away from where the car was securely locked in my garage, all day. After some time the ticket was cancelled, with no explanation other than an apology. My car is a 1999 Volvo…. unlikely there are any similar vehicles, and has not been written off?